Millions of Americans – 52 million to be exact – have low bone density or osteoporosis. In fact, about one in two women and up to one in four men over the age of 50 will break a bone due to osteoporosis. By 2020, half of all Americans over age 50 are expected to have low bone density or osteoporosis. 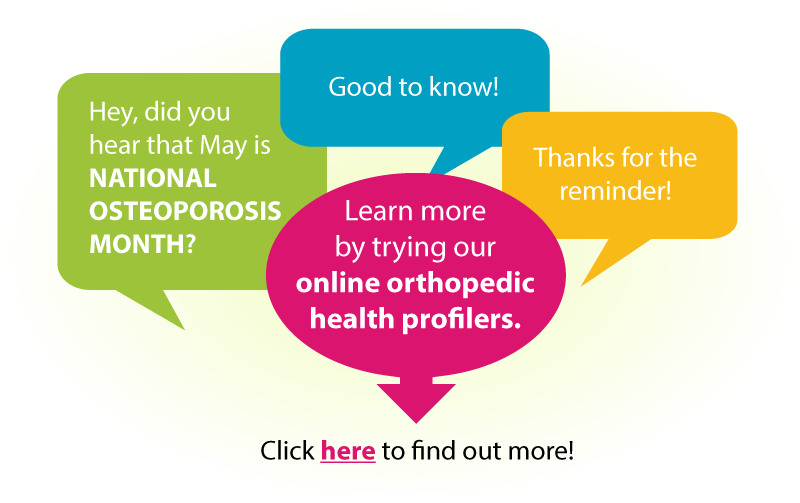 The month of May is a great time to promote the EVALIA® Back & Neck Pain Profiler and the Knee & Hip Profiler.